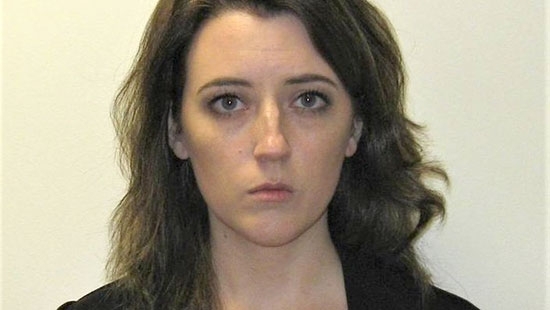 28-year-old Kate McClure was in a New Jersey courtroom on Monday to enter a guilty plea and admit to her role in the $400,000 GoFundMe scam. She was charged with 2nd-degree theft by deception and will face 4 years in prison when sentenced in June. She has also pled guilty to a federal charge of wire fraud charge, but has not yet been sentenced. Both state and federal sentences will run concurrently. McClure admitted that the feel good story was completely fabricated. She never ran out of gas. Johnny Bobbitt did not use $20 to come to her aid. The photos of her, Bobbitt, and her ex-boyfriend Mark D'Amico were fake. Bobbitt pled guilty last week. D'Amico will face trial. McClure and Bobbitt will testify against him. Police in Gloucester County NJ are investigating several incidents of vandalism that happened overnight in Washington Township. The cases occurred between 11 p.m. Sunday 4/14 and 7 a.m. Monday 4/15 in the Bells Lake Development and Birches Development. The graffiti was found on vehicles, street signs, fences, mailboxes and private property. A police cruiser was also defaced. Anyone with information on this incident is asked to contact Washington Township Police at 856-589-0330. The National Weather Service confirmed that a tornado touched down in Sussex County, Delaware, overnight near the town of Laurel. The EF-2 tornado happened at 3:38 a.m. It had a path 50 yards wide and 6.2 miles long. Winds topped out at 120 mph. At least a dozen buildings were seriously damaged. The winds tore off roofs, walls, and more. Power lines and trees were down. There was only one reported injury.